Pianist Denis Matsuyev performs in Rachmaninoff Hall of the Moscow State Tchaikovsky Concervatory. 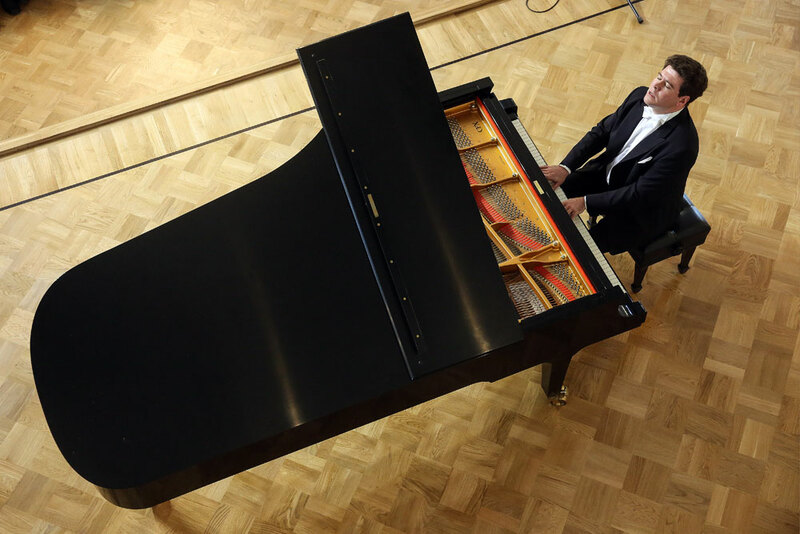 The first international competition for pianists under 16, the Grand Piano Competition, has ended in Moscow. Fifteen winners from around the world will now perform with the masters of classical music. The founder of the contest, renowned Russian pianist Denis Matsuev, told RBTH about young talents and piano schools in the world. RBTH: What are your impressions of the competition? Denis Matsuev:It was a triumph for the younger generation! The finals were seen by both the Moscow audience and the rest of the world – the concert was broadcast on Medici.tv. We’ve collected hundreds of thousands of views in a few days. Representatives of different piano schools – Russians, Chinese, Koreans, Japanese, Belarusians, British and Georgians – were on stage. The Russian school was a little stronger, because it still sets the bar. Despite their age, the participants performed very complicated parts. It's amazing how such concerts can be played at the age of 11 or 12. You could hear mature playing, a unique vision and the experience of playing with an orchestra. The new generation is very rational in a good way. So I have confidence in them. Tomorrow they will get up after their resounding success and go to a rehearsal. And what's the most interesting is that with their talent, they remain normal children. RBTH: You’ve also come up with a new competition format in order not to have any losers. D.M. :Yes, I can’t stop enjoying the successful format that we came up with. Those 15 lucky ones, who were selected in the qualifying round – all of them are winners, the musicians did not fly off between the solo and orchestral rounds. We've got seven winners and eight diploma recipients. But we decided to give two grand prizes – to Alexander Malofeyev and Sandro Nebieridze. It was impossible to choose! RBTH: What's next for the winners? D.M. :After the competition, the guys have been already invited by our legendary masters – the MariinskyTheater's artistic director Valery Gergiev, the chief conductor of the Academic Symphony Orchestra at the St. Petersburg State Philharmonic, Yuri Temirkanov, violist and conductor Yuri Bashmet and others. I will invite them to all my festivals. They have become in demand. RBTH: Is there still a difference between piano schools around the world? D.M. :All foreigners are very different. For example, Shio Okui, a 11-year-old Japanese girl, is already a star, a winner of dozens of prestigious awards. I’ve known her for three years, and she has fantastic achievements. Shio played Grieg's concerto: This fragile girl gave out so much power and strength, it is difficult to imagine! The 12-year-old Chinese pianist caused an absolute sensation, bringing everyone to tears with his performance of Schumann's concerto. The Korean pianist played Chopinbrilliantly. In general, the Korean school is very strong, there is a lot of talent there. And we shouldn’t fail to mention the Georgian school. For example, our winner Sandro is not only a pianist but also a composer. His sonata can be compared with Prokofiev's. Englishman George Harliono is also very talented, he's got a phenomenal career ahead of him. He was not afraid to play Tchaikovsky's concerto at the age of 15. RBTH: How will you develop the competition? D.M. :It will take place every two years in Moscow, alternately with my competition in Astana [the capital of Kazakhstan]. We will organize both exchange concerts and festival events all over the world – in France, Switzerland and other countries. RBTH: What countries have the most grateful audience? D.M. :I play somewhere every day. I have 230 concerts a year, from the U.S. to Japan, and it is difficult to define the public of any individual country. For me, each performance is like the last. I have been actively touring for 20 years and I love all of myspectators. The audience does not have a nationality for me, we have a long-term romance. But there are peculiarities in behavior that can be noted. For example, the Japanese stand out by the fact that they keep all their emotions inside. They have a lot of classic venues, the unique traditions associated with classical music, but they do not let out their emotions. The Americans – they are the exact opposite, very emotional. For example, viewers can give a standing ovation at Carnegie Hall. But in Berlin and London, the public is more prudish. And all this is our personal relationship.